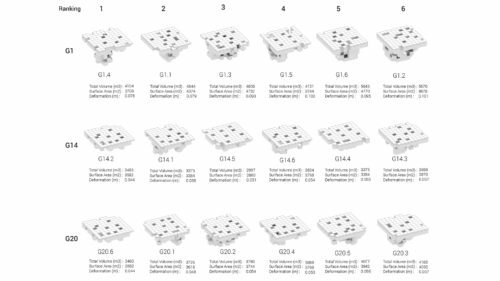 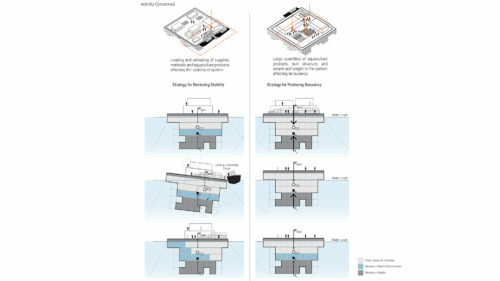 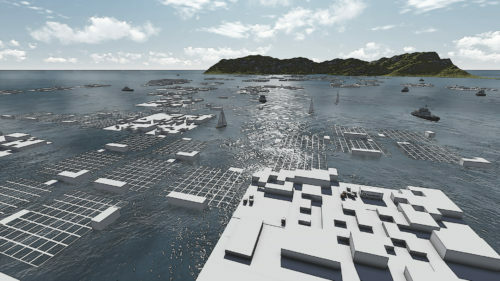 Adaptive Floating Settlements is a dissertation that investigates on integrating different strategies to address wave energy reduction and develop organizational logics of floating settlements centered around the aquaculture activity. 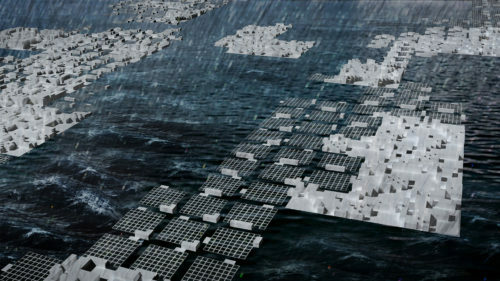 This is in response to the compound effects brought about by coastal migration, rapid changes caused by climate change and increasing demand for food. 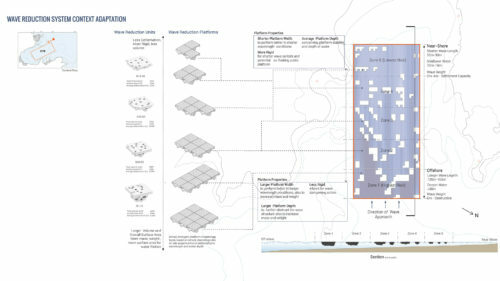 The research was contextualized in Xiapu County, Fujian China, where an existing aquaculture industry with floating settlements are thriving, but face vulnerabilities due to frequent storms bringing destructive waves that damage property and the lack of a system to address thereof, as well as the consequences of an ‘informal’ or self-organized settlement. 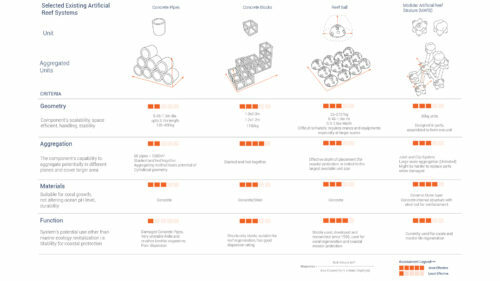 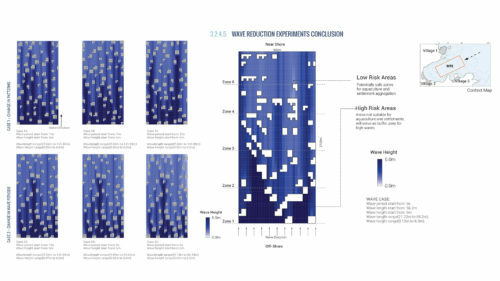 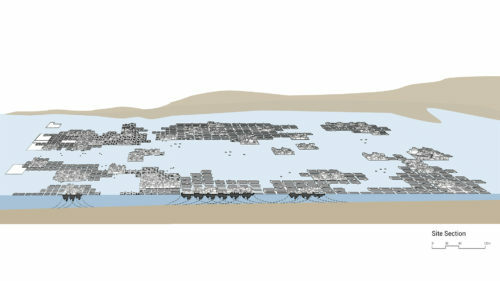 Data on the site’s existing aquaculture, and socio-economic conditions were gathered, precedents such as existing wave attenuation system structures including coastal biological systems and man-made structures are analyzed to abstract principles and parameters to inform the development of design ambitions and strategies. 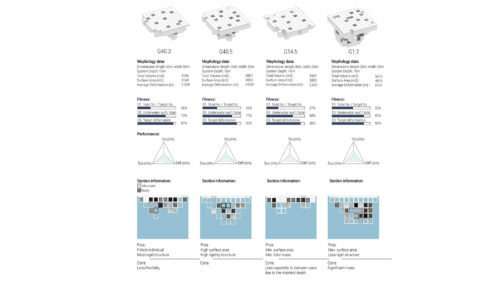 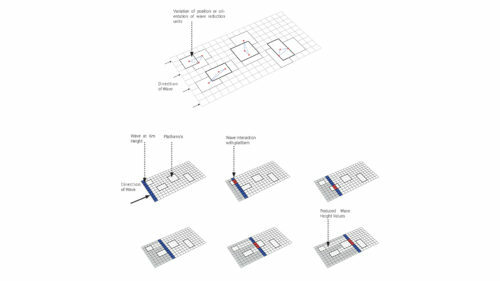 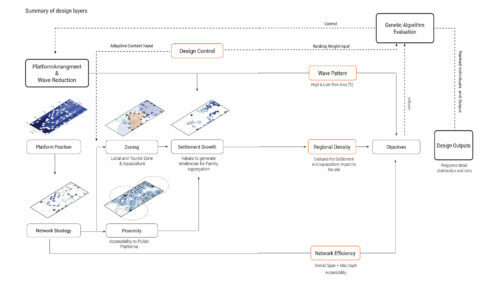 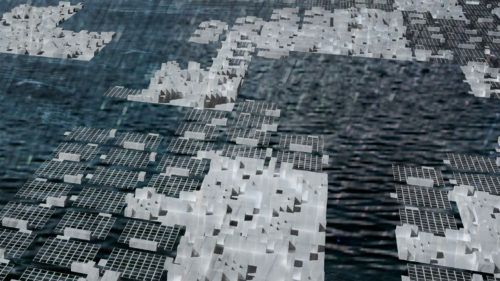 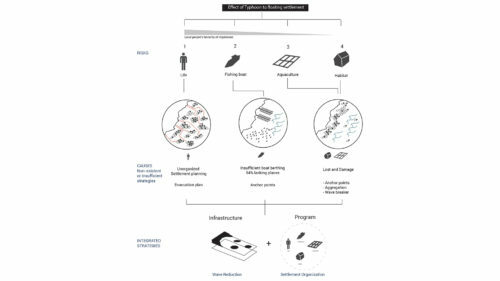 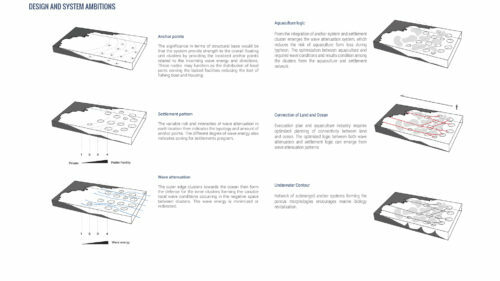 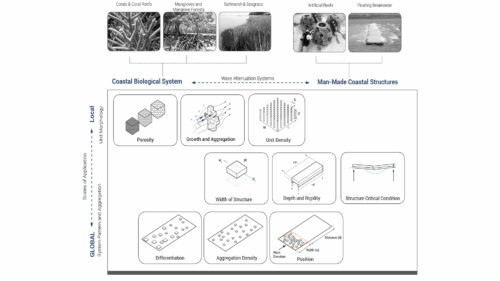 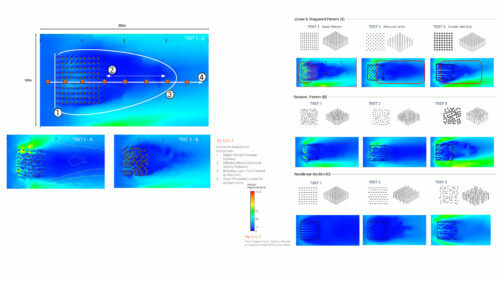 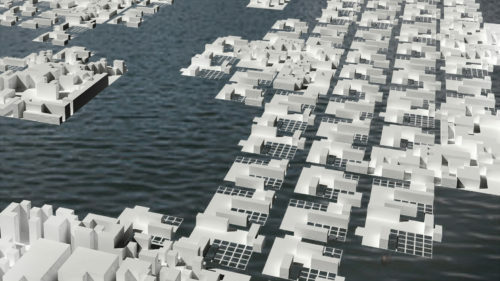 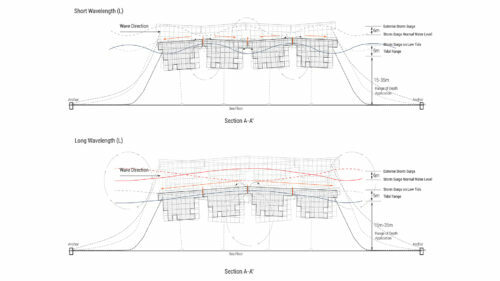 Through experiments, development of analytical tools and algorithms, an integrated strategy was achieved where wave attenuation served as the major driver for pattern arrangements, followed by aquaculture and social logics to influence the development of an emergent and adaptive organizational logic for coastal floating settlements.